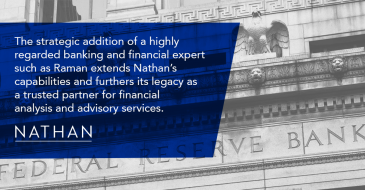 Nathan works with governments, donors, public bodies, multinationals, corporations, and entities of all types, providing compliance strategies and programs, policies, training, gap analysis, risk assessments, consultative reviews, research on trends and emerging issues, and advisement on a wide range of governance-related and anti-corruption issues. We apply our 70 years of experience, across 140+ countries, to our full suite of compliance and governance services including strengthening the rule of law, providing advisement, bolstering justice systems, drafting laws, creating transparency and accountability mechanisms, and providing management, technical guidance and advisory services on anti-money laundering, anti-trafficking, public financial management, rule of law, corporate social responsibility and related issues. Our knowledge and expertise is brought to bear to change outcomes, build capacity and deliver effective solutions.